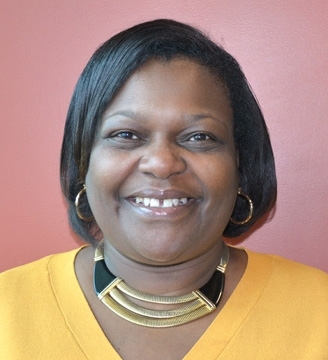 Human Services student Jenette Davis has been chosen as one of two student speakers for Goodwin College’s 2014 Commencement Ceremony on Saturday, June 7. She shares the stage with valedictorian Rebecca Whiting. 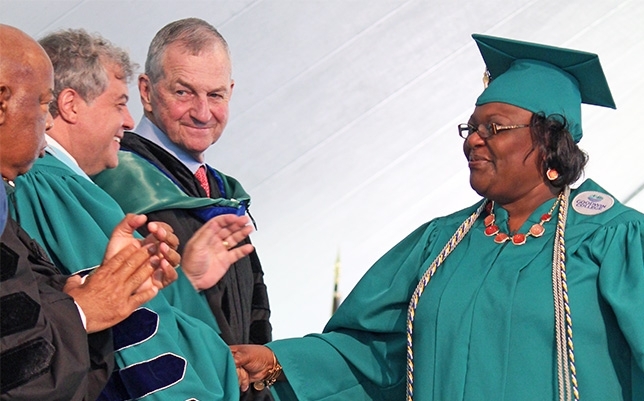 Davis’ drive, commitment, and involvement in the life of the College were among the many reasons she was selected to address the audience of students, faculty, trustees, family, and friends. Often seen giving advice, interacting with others, and sharing the wisdom of her experiences, Davis is well respected and appreciated by everyone in the Goodwin community. “I was excited, surprised, overwhelmed, and very proud that I was asked to speak at Commencement,” Davis said. Not only is Davis is a student, she is the wife of a pastor, mother of six (including her son, Shane, a current Goodwin student), grandmother of eight, foster mother of six, CREW member, and desk assistant at Goodwin’s Academic Success Center and Math Lab. Enrolling in Goodwin’s Human Services program has enabled her to pursue her true passion: helping others. She plans to use her degree to enhance the work of the church, and she endeavors to be of service to young, single mothers. “I want them to know they can do whatever it is they desire, and education is a key part of that,” Davis stated. Commencement 2014 will truly be a family affair for Davis. Her son, Shane, will be singing the national anthem at the beginning of the ceremony. “I’m delighted and proud of my son. It means so much that he’s singing on the day that I’m graduating,” she noted. Davis is already continuing her education at Goodwin even before Commencement. She enrolled in the bachelor’s program and has begun classes.